Prepare to show your sparkly side with these Dazzling Eternity Earrings! 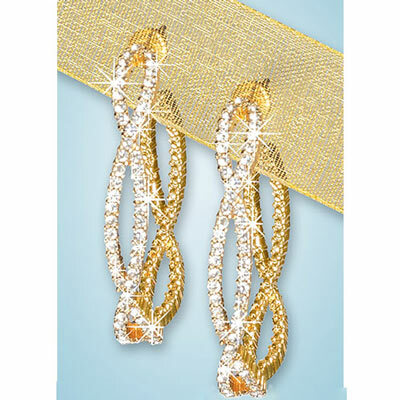 Criss-cross strands of sparkling rhinestones are supported with gold-tone metal. Post backs. 1½"l.